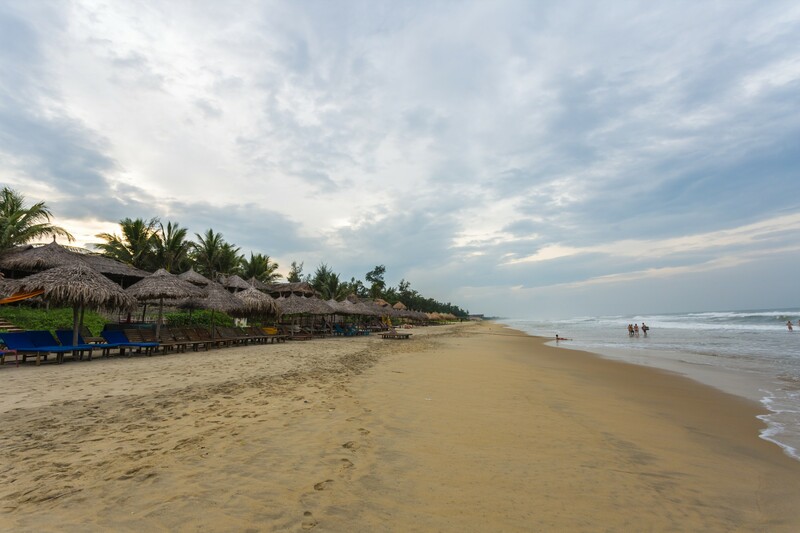 Lying just a kilometer up the road, past the bucolic Tra Que Village, is one of Vietnam’s most underrated attractions: An Bang Beach in Hoi An. This relatively unspoiled four-kilometer stretch of sandy white shoreline is a welcoming sight with the rugged outline of the far-off Cham Islands being the only thing to disrupt the seascape. 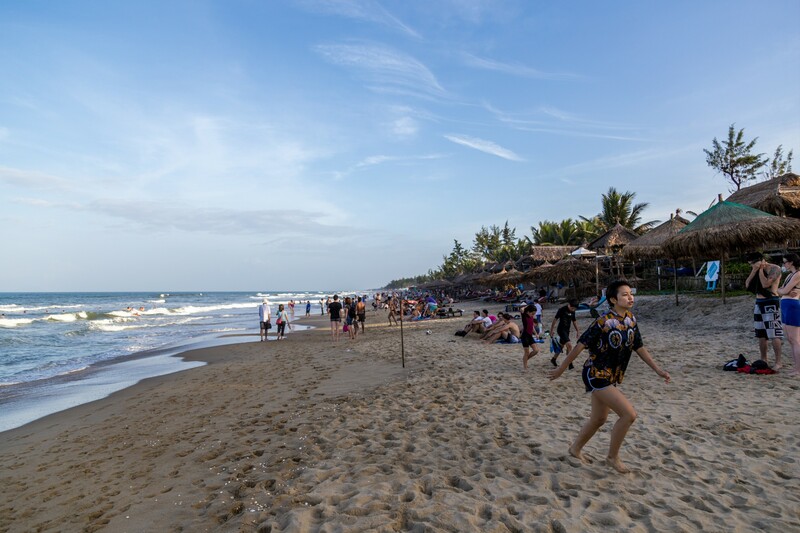 In the aftermath of serious erosion that swept away the neighboring Cua Dai beach, both tourists and locals were left to contend with one sole option: An Bang. 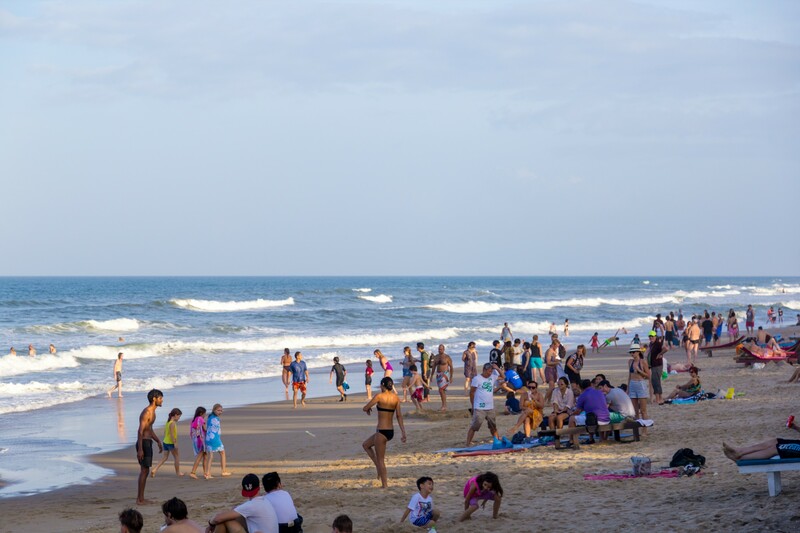 But in spite of the loss, the beach scene is on the up and up as the migration to one marked spot has brought on a wave of new life to An Bang. In the aftermath of serious erosion that swept away the neighboring Cua Dai beach, both tourists and locals were left to contend with one sole option: An Bang. Today, rows of thatched umbrellas perched above padded reclining loungers now share the terrain with a slew of hippy Western-managed bars out to sell “laid back vibes” by way of a pina colada. And if you need the quality assurance of a major news outlet, CNN included An Bang on their 2016 list of the Top 100 Best Beaches in the world. Ready to take the guesswork out of your itinerary? We’re here to help you make the most out of your day in the sun. The peak season in Hoi An falls between March and September, also known as the “dry season,” one of the two typical seasons in a tropical climate. It is during these months that you’ll find the best weather conditions with uninterrupted sunshine and tranquil waters to match the idyllic climate. Take note that the lack of coverage and the blistering sun overhead can quickly become a recipe for heat stroke come the summer months of June and July when the daily temperatures can rise well past 90°F/30°C. Come October, the overcast skies mark the return of rainy season. While rain is sporadic for the most part in October, November brings the promise of tempestuous weather, as well as the potential for flooding. Be advised, especially those with beach plans. The drop in temperature comes around December and January, where the daytime high is around mid-70°F/20°C and drops to a low of 60°F/15°C come nightfall. Pro tip: The best time to visit is between February and May when the deadly combination of heat and humidity are still at bay. One of An Bang’s best features is the all-day rental of comfortable and clean sun loungers, all for the stunningly low cost of one drink, alcoholic or non-alcoholic. Not hungry? The going rate for a lounger sans food is between 10,000-50,000 VND depending on location and whether or not you’d like a parasol. Settle in and get cozy because there’s no time limit as to how long you can use a lounger. Another perk? When hunger and/or thirst strikes, call on one of the loitering attendants to take your order that will be served to you on the beach. Newsflash!!! Don’t feel inclined to shell out more than 5,000-10,000 VND for your motorbike. If the hassling gets aggressive, the best solution is to walk towards the assembly of restaurants right before the beach and take your pick of the batch. Not only will you get free parking, but also a free lounge chair to sit on. What a win! And don’t even think about taking your bike out on the beach; the move will cost you a hefty fine and the impounding of your bike. Is the fear of being heckled deterring you from biking? Flag down a trusted taxi provider like Mai Linh (green taxis.) 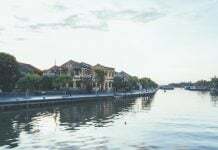 A five-minute ride from Ancient Town costs 80,000 VND and you can walk back easily to Christina’s, which is only a kilometer away from An Bang. Taxis are few and far between after nightfall so if you’re looking to snag a cab post-sunset or happy hour, make sure to have a working cell phone and the local taxi company number is saved. With crowds of expats and tourists arriving daily to this turf, let us not forget that the locals have long known and cherished this now-hotspot. 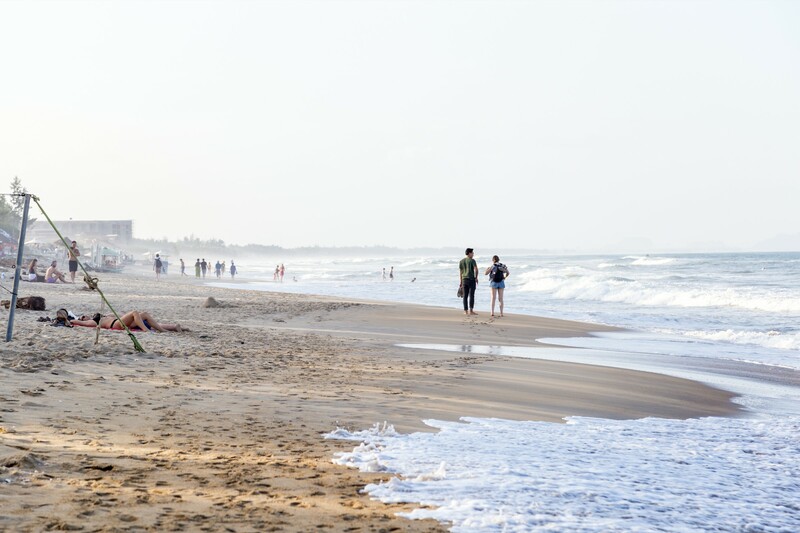 The local population normally are here at the crack of dawn for sunrise swims and power walks along the beach and as the sun sets for family barbecues and picnics. 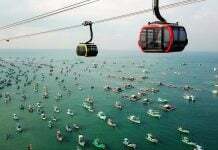 You’ll see the latter is most popular during June through August when the Vietnamese go on summer holiday. The weekends are especially busy, with locals outnumbering foreigners two-to-one. Please remember that this is the only remaining public beach in town, with the nearby Cua Dai beach being reduced to a pile of sandbags and sun-drenched memories. 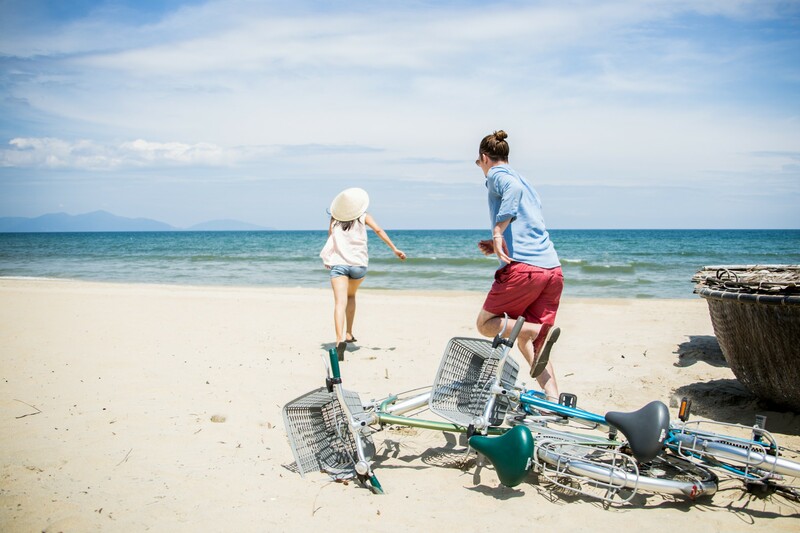 And If you’re really interested in experiencing something “local,” ride out to Cua Dai, about three kilometers east of An Bang, where you’ll see about three meters of dirtied sand decorated with plastic chairs. The plastic chairs form makeshift cafes and give you a front seat view of the East Vietnam Sea lapping away at piles of fraying sandbags. Locals, mostly teens, are seen playing atop the sandbags taking selfies of the strange affair. The only foreigners you’ll come across are those who forgot to bring an updated copy of a guidebook. It’s seemingly depressing at first, but with the palm trees swaying in the breeze, it’s not all that bad. 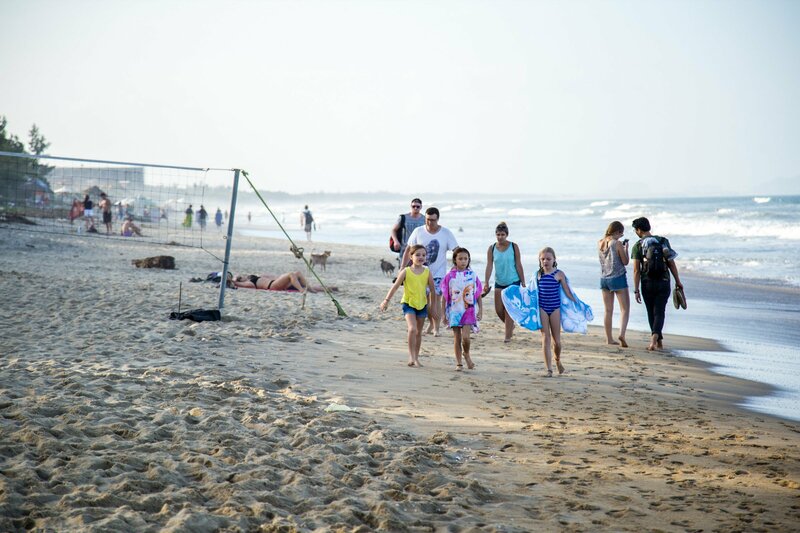 With a lack of wind, you won’t find kite surfing and parasailing like you would down the Vietnamese coast in places such as Mui Ne. The biggest draw to An Bang (or Hoi An rather) is the placid waters, which makes it great for swimming and paddle boarding. SUP Monkey Hoi An comes highly recommended, as it is great for all levels of experience. You can also request for a sunrise paddleboard excursion as well. 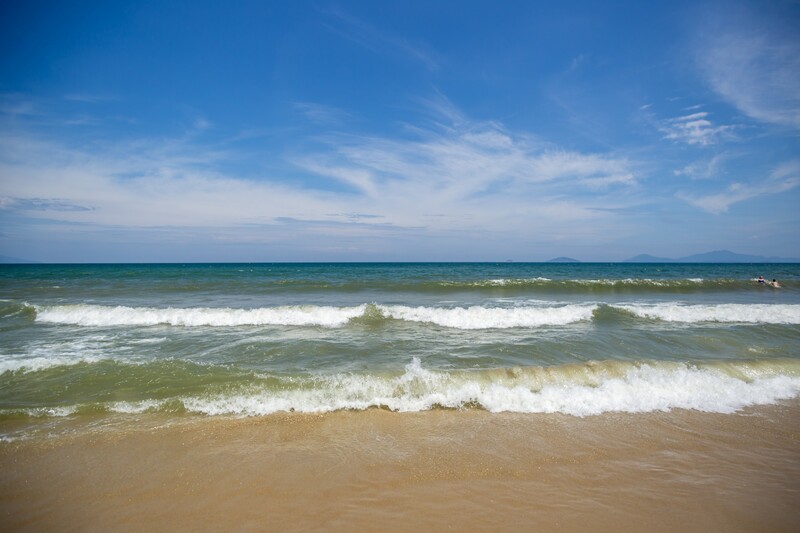 From time to time, An Bang experiences a surge of tall waves reverberating from storms that hit Da Nang. So, if surfing’s your thing, have at it. If you’re not an experienced surfer but are interested in trying your hand at the sport, there are a number of classes offered by expat surfers as well as places to rent. It’s a good place to learn as you’re not fighting for space in a crowd. 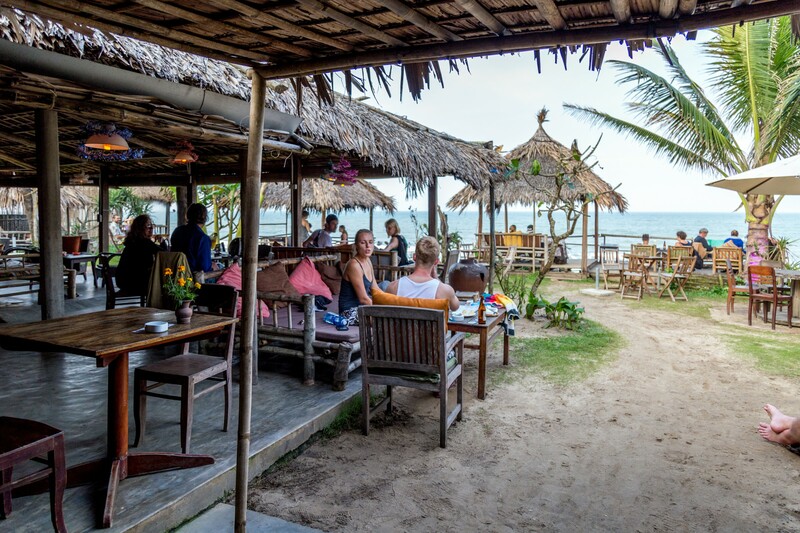 The very definition of chill, Soul Kitchen Beach Bar and Restaurant panders to the unhurried. From strong cocktails to an extensive all-encompassing menu, this island vibes snack shack will have you never wanting to leave. It’s easy to miss as it’s all the way at the northernmost end of the beach overshadowed by about six run-of-the-mill eateries (keep going, you’ll see it!) Try to get there as early as possible to scoop up one of those seaside cabanas and order up a Mama Feelgood. Don’t know what that is? Well, then, make your way on down there to find out! The “soul” kicks in later on at night with a punchy reggae set from a local live band. Kick off your shoes and let the good times roll! On the opposite end of An Bang lies La Plage, which is French for “the beach.” It’s complimented not only for its all-day food service and friendly waitstaff, but also the different amenities on the property such as a handicap-friendly bathroom, showers to rinse up at before entering, and yoga classes! A diverse playlist of hits from across the decades acts as the mealtime soundtrack. And while the menu is not that vast, they make sure they do right by the little they have to offer from beefy burgers to hearty omelets, all at a great price. 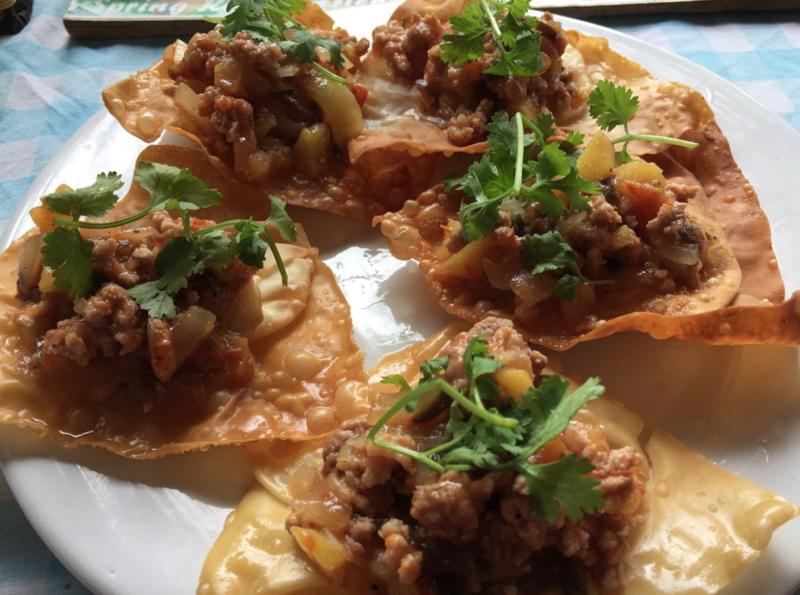 Here is a Vietnamese restaurant with a laid-back local vibe from the decoration to the dishes. 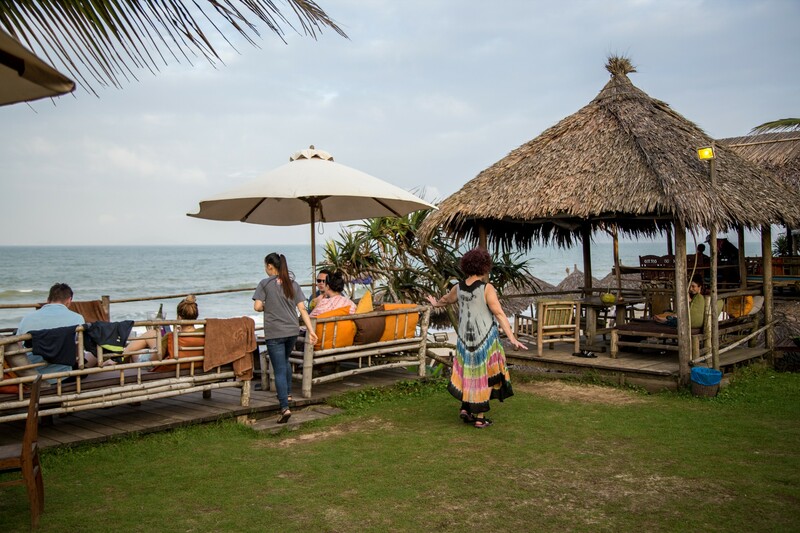 Located just 200 meters from An Bang beach, Seaweed has a traditional setting of a typical Vietnam restaurant in a beach city. You’ll get to dine in a space with bamboo walls and Asian-style furniture. They also have seats both indoors and outdoors, which lies inside a large garden to give you a more airy view. The menu features many seafood dishes and also a great variety of vegetables and meat options. If spending the whole day at An Bang exhausts you, take a walk to this lovely restaurant and eat to your heart’s content! Staying overnight in a hotel or homestay next to the beach, listening to the ripples of the waves, walking along the seashore, and observing the magic moments of dawn and sunset on the ocean are all the best things you can enjoy at An Bang. There is an abundance of accommodations here which will surpass your expectations! Only 300 meters to the beach, Vina Beach Pool Villas belongs to a local fisherman and his wife in An Bang. All the construction, architecture and design of the villa are under his supervision which brings the most satisfaction and comfortability to any guest staying here. Set in a tropical garden, the villa has four glorious rooms, two bedroom family bungalows with modern facilities, and an outdoor pool. The best part is, the owner runs a local fishing tour on how to harvest sea crabs. Don’t miss out! Just a two-minute walk to the beach, Red Flower Cottages Homestay is a tranquil stay set in a small garden. 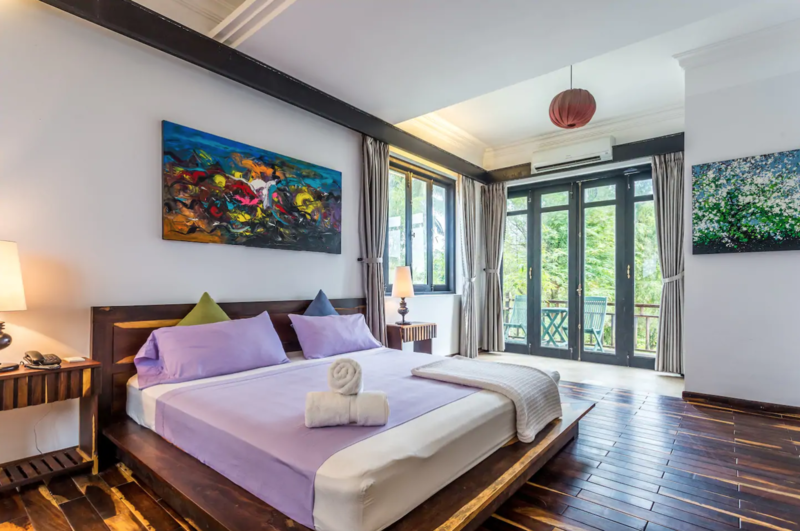 Built in the style of traditional Vietnamese cottages, this homestay will make you feel like a local staying in a small village in a coastal city. Not only does it have full amenities, a delicious and well-prepared breakfast, this homestay will also amaze you with the warm hearts of the hosts here. Just a six-minute walk to An Bang beach, Under The Coconut Tree Homestay is a series of bamboo huts surrounded by tropical trees. 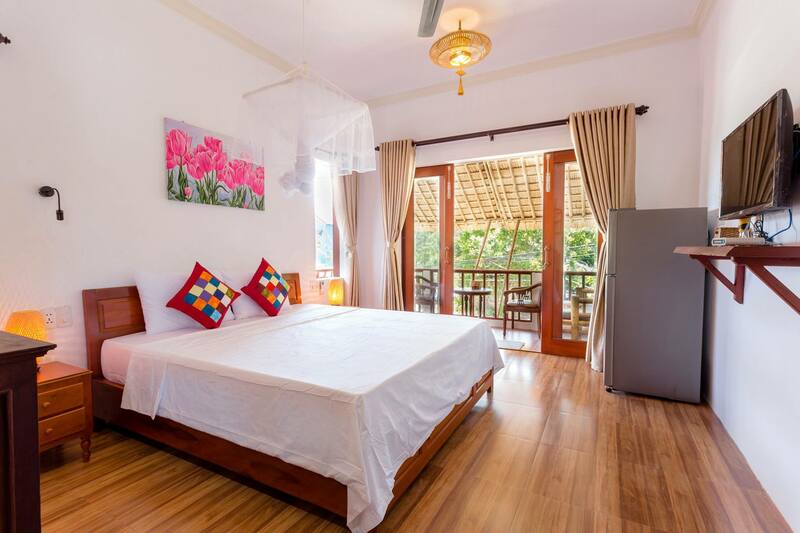 The homestay has many kinds of rooms, including bungalow, family room, private room, and a dormitory with a different price range. You can enjoy the tranquil atmosphere and interact with friendly hosts here, then spend your days swimming in the beach nearby. It will be an awesome experience! Our homes in Hoi An are located in and around the lovely and peaceful Tra Que Herb Village, with many room types for you to choose from. You can stay in a modern suite with a pool or garden view, or book an entire villa with luxurious extras which can accommodate family-sized groups. All of these options are equipped with modern and essential amenities such as en-suite bathrooms, quality linens, and fresh towels. At Christina’s, the designers appreciate the small things and these details will make your stay as smooth as possible. You’ll also be well taken care of by our thoughtful, wholehearted, and friendly hosts. 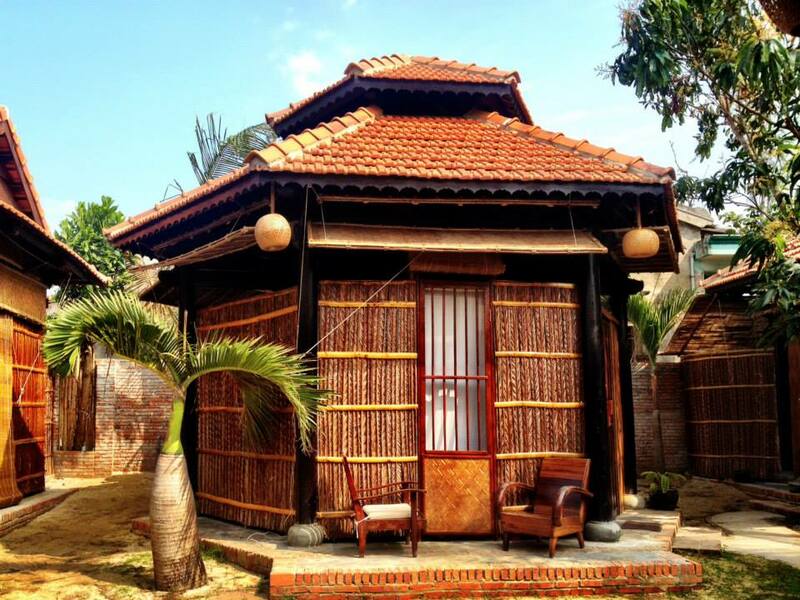 Stay here with us and experience a memorable Hoi An trip surrounded by the gentle beauty of Tra Que nature. 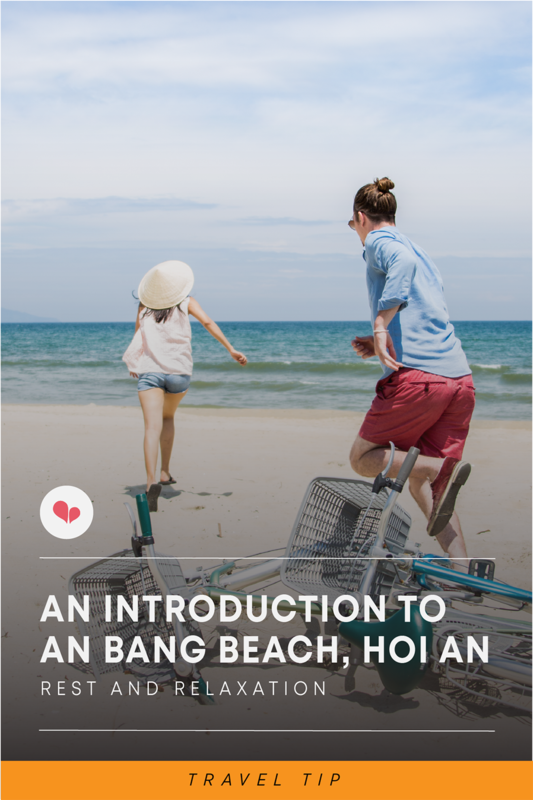 Hope what is mentioned here is enough to help you enjoy An Bang beach to the fullest. Let us know about your experiences. 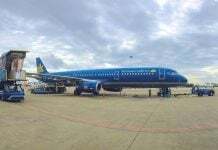 Enjoyed this article and want more information on fun things to do, see and eat in Vietnam? Follow us at the Christina’s Blog.